Recently, I wrote about my 2017 word of the year: Simplify. Am I complicating things by adding one more to the mix? Because while I am trying to keep my life simple, the thing I need to work on even more is BALANCE. As I approach the two year anniversary of my ruptured aneurysm – which I call the two year anniversary of my survival – my energy seems to be coming back in bounds. When I have a day with great energy, it’s hard not to take on too much. I can write a list of at least 50 things I need to do, but have to keep in mind that I can’t always accomplish it all in a day or a weekend. I have to prioritize with balance in mind. Take, for instance, this coming weekend. I have supper club, a band party and church. But those are only scheduled events. I also want to cook for the week ahead, take a long walk, straighten the house (kitchen, bathroom and basement, in that order), work on my finances and get caught up on This Is Us. And, and I really need to wash clothes. What I’m learning is that I can’t do it all, even in a weekend. My energy is coming back, but I still need to rest and relax. Saturday evening Supper Club is a must. We’re going out, so I don’t have to clean or cook. And it’s much needed time with friends. The band party is a wait-and-see. It’s an event for The Animal Mission, and a band featuring a couple of friends is playing. I don’t get to hear them play much anymore, and it’s a short set. Still, with my voice issues, clubs aren’t my best venue. Church is a given. It inspires me for the week ahead, gives me a chance to see friends and gets me up and out. The service isn’t until 11:15 a.m., so I can still sleep in or get up early to get started on the cooking. …Straightening the kitchen becomes a higher priority. There’s no way to accomplish this without at least clearing the counters, making some room in the ‘fridge and switching out the dishes. The bathroom and basement are medium priority, because I need to get a plumber out soon to work on a few projects. The long walk is creating issues in my mind. I’d hoped to walk to the park and Trader Joe’s like I did before the rupture. But I don’t want to wear myself out and ruin my other plans. Maybe I can do it Sunday afternoon or evening, when it’s okay to be worn out. It might even help me sleep longer and a little better. Working on my finances is easy. I can do that on my laptop in bed Saturday morning. Or even tonight. This Is Us. It’s on Netflix now, and I’ve heard so many good things about it. I usually don’t turn on the TV on weeknights because it distracts me and prevents me from getting a full night of sleep. While I’m excited it’s on Netflix now, that doesn’t mean I have to watch it all on one day. This is definitely not a priority, and I may start watching (aka NOT binge watching) next week. Washing clothes. A job that’s never done. I miss the days that I took everything to the dry cleaner, but my bank account doesn’t. Maybe instead of shooting for everything, I can do laundry based on priority, i.e. what I need for the week ahead. Boom. I’ve created a simple solution for the weekend that includes plenty of balance of those things Maslow told us were important. I’ll let you know how it goes. So what’s up with the bracelet headline? I’m a highly visual person; I like visual reminders close to keep me motivated. I have a SIMPLIFY bracelet, but need one for balance. Thus, the addition of a “new word” won’t be official until I get one. Perhaps I need to add THAT to the list. Is your life “in balance?” What do you do to maintain a balance in your life? What do you need to work on? (INSERT LOUD NOISE HERE) Have Your Resolutions Hit the Wall Yet? Did you hear that loud thud this morning? I think it was the many resolutions made in the heat of the New Year that finally hit the wall. Surprisingly, 75% of resolutions will be continued through the entire first week of January, but only 46% make it past six months. University of Scranton also stated that 39% of people in their twenties will achieve their resolution each year while only 14% of people over 50 years of age will achieve theirs. Start small. You can’t do it all at once. It took you more than a month to acquire said issue, so you won’t solve it in a month, either. Celebrate every milestone. That one pound may not be the 22 you want to lose, but it’s a lot better than gaining it. And 21 lbs. sounds better than 22, doesn’t it? Don’t get discouraged. Old habits die hard, but putting this off forever is only going to make it worse. Be nice to yourself. You’ve totally got it. Stay Motivated. Change ain’t easy, but you can do it. Don’t think about what can happen in a month. Don’t think about what can happen in a year. Just focus on the 24 hours in front of you and do what you can to get you closer to where you want to be. 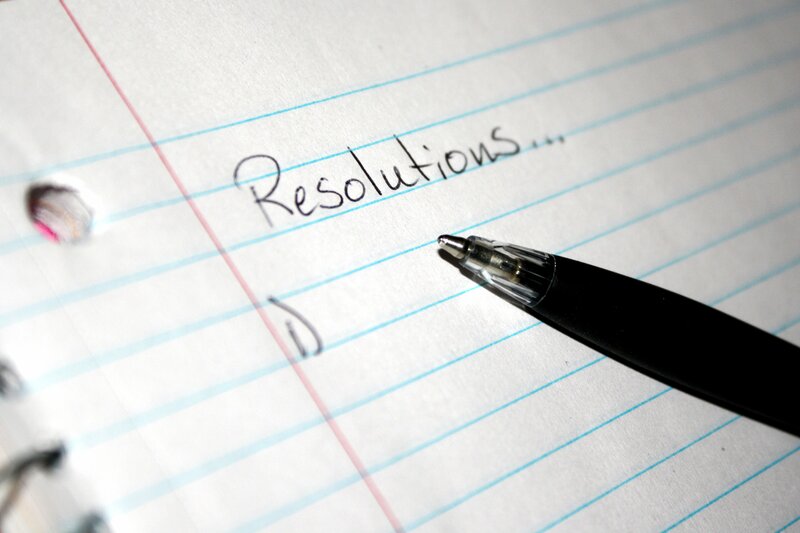 How are we all doing on our New Year’s Resolutions? Mine has gone down in flames. I resolved to use my cell phone less. I installed an app that tracks time spent on my cell phone, number of times my phone is awoken from sleep mode, and what apps I use most frequently. I paid attention to the data for about two weeks before deleting the app. It made me feel guilty. I was always in the red zone. The problem was – I use my cell phone for work, and I use it while I’m nursing the baby and alone in the dark. I use it instead of my computer to schedule things to my calendar, email my parents, and respond to work issues. I use it to catch up with my mother-in-law on my 50 minute commute home from work. Our lives are SO digital…the fact that I have a smartphone implies that I’m “on call” to many people – and my decision to use my phone less doesn’t mean my job or my parents email me less. The app certainly made me aware of WHEN I use my cell phone. It did influence me to turn off notifications for Facebook – so I don’t know who has liked, commented, or messaged until I purposefully open the app. So maybe, upon reflection, the resolution did just what it was supposed to do: it brought awareness, slight reform, significant betterment. 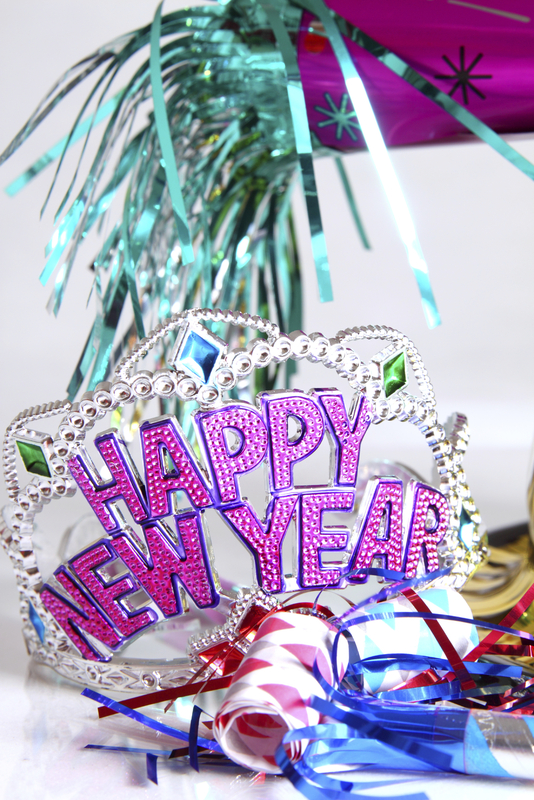 How are your resolutions going now that we are quite a few months into 2015? I have mentioned before how much I strive (struggle?) to organize our home. I’ve read a few books on this topic and from each I have gleaned some helpful tidbits. When I heard about the Life-Changing Magic of Tidying Up by Marie Kondo I immediately got on the waiting list for a copy from the library. I was intrigued by the title as well as its overwhelmingly positive reviews on Amazon. It’s apparently very popular, so I had to wait over a month to read it on my Kindle. I thought I would give a review with some of the main points of the book. I felt like this book had some great information, but could have been written much more concisely. Like most books in the genre, I take what I like and disregard the information that I don’t find valuable. Readers should be aware that Marie Kondo addresses inanimate objects as if they have feelings and even delves into reincarnation as a part of her philosophy. Although I disagree with these ideas fundamentally, I don’t mind reading about them. At the very least, I found it interesting from a social perspective. 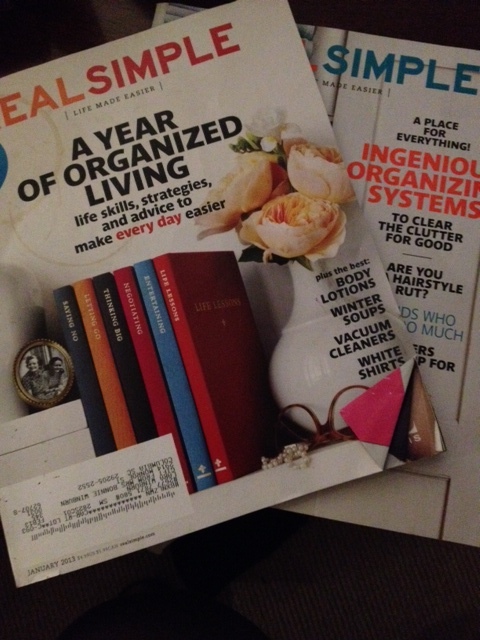 Marie’s philosophy begins with decluttering on a massive scale; attacking one category at a time in a specific order. She advocates holding each item in hand and asking the question: “Does this bring me joy?” If you are searching for detailed organizational tips, this book probably doesn’t fit the bill. However, if you are seeking inspiration for a major life-change, this book will inspire you. I realized immediately that if I evaluated items by this criterion, the process of purging would be vastly simplified. At the same time, I am afraid I might be left with almost no clothing if I attacked my closet this way! Another thing I loved about this book, is that Kondo teaches that tidying is a one-time event, rather than a lifetime pursuit. This resonates with me because I am so weary of the constant process of decluttering and reorganizing. 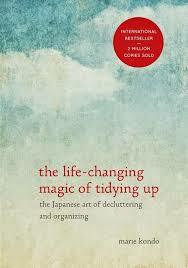 According to the book, purging so ruthlessly allows the home to be filled only with loved and used objects. The happy result is a simplified life-style that calls for minimal cleaning. The home doesn’t have to be neatened because everything is naturally put away and the absence of clutter leaves a surplus of time and energy. Sounds good, right? Perhaps the most important thing that I personally took away from reading The Life-Changing Magic of Tidying Up is that keeping or discarding objects should not be guided by guilt. So often I find myself paralyzed by a guilty conscience. I feel guilty that I have purchased things that we didn’t need. I feel guilty that clutter and housework are piling up. And, I feel guilty that my time is sucked up by these often trivial objects. This book really shows how simplifying a household can lead to more freedom and less guilt. And I am all for that. This spring, my family is gearing up for a big yard sale as a way of de-cluttering our home. I have already been preparing for this event for several weeks and intend to be much more ruthless about adding to the “yard sale pile” now that I have read this book. I’m looking forward to more breathing room and less housework as a result. If you want to have a yard sale, this is a great time of year to hold one! My next blog post will include all my best yard sale tips and tricks, so stay tuned. It’s New Year’s day here in the Prescott home and I’m sitting on my couch contemplating my New Year’s resolutions. I have always loved the idea of turning over a new leaf in January, giving myself a fresh start and a fresh perspective. As usual, it’s mostly a matter of whittling down the slew of things I need to work on into a manageable list. This year, my first thought was to focus on home management. As I have mentioned, staying organized is not my best skill. Throw in a part-time job, hobbies that have grown into responsibilities and that teeny-tiny task of educating the future generation…..let’s just say the dust to floorboard ratio is at an all-time high. And don’t even talk to me about the laundry. Unless you want to come wash some. On the other hand, maybe I will attempt to drink more water, get rid of all the clothes I don’t wear, learn a foreign language, expand my cooking efforts, buy more locally/organically/ethically food, or apply eyeliner. (Notice I don’t mention exercise. That’s right, it’s too unlikely to even make the short list.) All of these are things I’d love to make a part of my life. But the truth is, if I write them ALL down on the list, it’s almost guaranteed I’ll give up long before February and probably before this post even hits cyberspace. I have certainly succeeded in discouraging myself, and you guys are probably not even reading any more. So where does that leave us? Barely into 2015 and already bummed about the New Year? No, because I have to remind myself of what is true. Truth: I can never live up to my own expectations. Truth: I will always disappoint. Truth: I will make mistakes and I will fail again and again. But despite all this, there is very good reason to hope. My hope is not in my performance. It’s not in miraculously renovating my home with $80 and sheer willpower. It’s not in discovering the best meal plan or the most effective cleaning methods. It’s not in training for a marathon, or reading more books in 2015. My hope, and the reason that I can joyfully enter the New Year, is in Jesus Christ alone. Because the truth is, without faith in Him, I would feel like a failure each and every day of my life. So if you have already failed yourself this year; if you’ve already let down your family, and dropped the ball, please take heart. Perfection doesn’t bring peace. Faith in the Perfect One does. So I choose to place my hope in Him this year. I hope you have a peaceful start to the New Year!